Blue Ocean Institute is a nonprofit organization in East Norwich, Long Island, New York developing ocean conservation and ocean wildlife preservation solutions through science, art and literature. Blue Ocean Institute on Long Island, New York works to inspire a closer relationship with the sea through science, art and literature. We develop conservation solutions that are compassionate to people as well as to ocean wildlife and we share reliable information that enlightens personal choices, instills hope and helps restore living abundance in the ocean. We explicitly seek out and develop new audiences and constituencies for ocean conservation, ranging from American college students to Japanese fishing boat captains. We're a 501(c)(3) nonprofit conservation organization headquartered in East Norwich, New York, with an office in Hawaii. With a staff of nine, our work focuses on producing research of high academic quality; accessible, relevant information; and practical, realistic solutions that engage people. 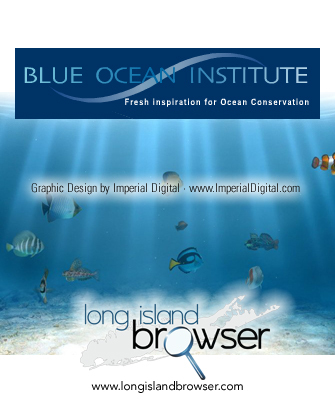 Tags: Blue Ocean Institute, East Norwich, Long Island, New York, nonprofit organization, ocean conservation, ocean wildlife preservation, solutions, science, art, literature.